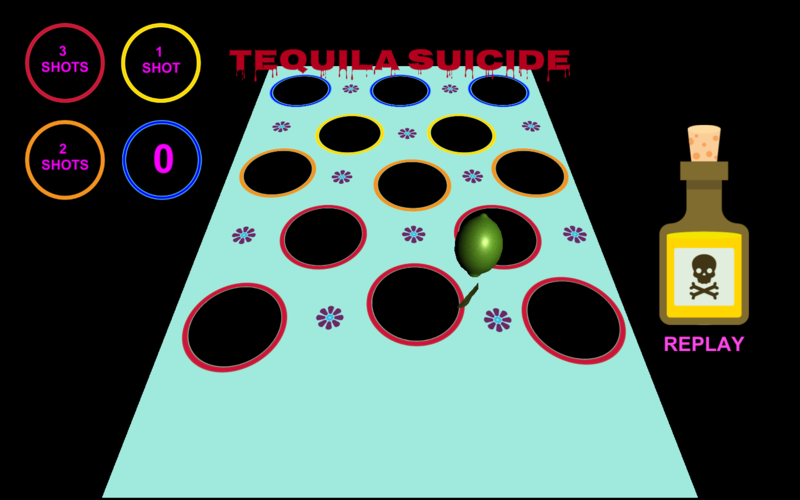 The goal of the game is to throw and pot the lime to the farthest holes on the table, in order to stay sober. 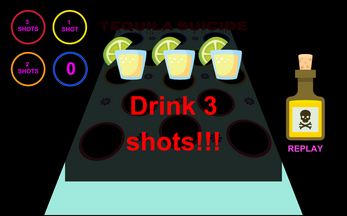 If the player fails to do so, they have to drink shots as punishment. If the lime falls in to red, orange and yellow holes, the player will drink. 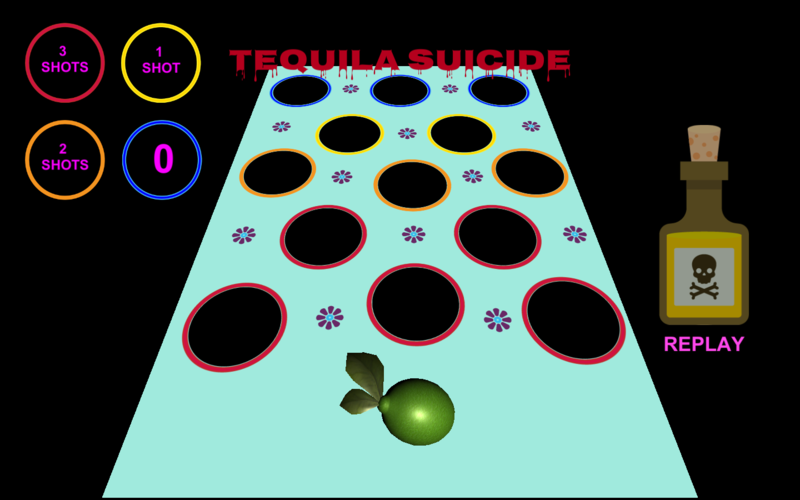 The blue holes are safe, aim for those. The player can move the lime pressing right and left arrow keys and throw it pressing and releasing the space key. Keep the sound on during play.